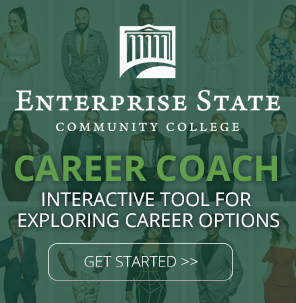 Enterprise State Community College’s baseball team is a powerhouse that students can be proud to join. The Boll Weevils won the state championship in 1982 and were runners-up in 1994. Past students include Jerome Walton, the 1989 National League Rookie of the Year for the Chicago Cubs. The baseball team has been part of ESCC’s athletic program since 1969, and generations of Wiregrass residents have competed for the Boll Weevils. Head Coach Samuel “Bubba” Frichter has years of experience in taking student-athletes to the next level, and the ESCC staff works hard to support student-athletes in their on and off-field endeavors. The baseball team has slots for 30 players and athletes are eligible for one of 18 scholarships available to baseball and softball players. 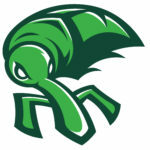 The Boll Weevils compete in the NJCAA and the southern conference of the Alabama Community College Conference. ESCC is committed to the academic and on-court performance of its athletes. ESCC athletes have a 70 percent graduation rate, well above the graduation rate of the general student population. The college recently had seven students recognized in the NJCAA All-Academic Awards.